Hattie, J (2009). Visible learning: A synthesis of over 800 meta-analyses relating to achievement. London, UK: Routledge. DMIC is a highly structured approach to build effective collaborative learning skills. There is strong evidence that collaborative or cooperative learning can have much larger effects on achievement than individualized instruction; but only when collaboration is effectively supported. Teachers are provided with "smart tools" to support children learning the "talk moves" which are ground rules for the "how" of collaboration so that everyone is included. No one remains silent. Everyone has to listen and engage. Students new to the school are included. Developing the skills of participation and communication takes time; but DMIC will not deliver accelerated improvement in maths without this pro-social foundation. When collaborative learning works, every student has access to ongoing support. Opportunity to learn is not reduced to individual minutes with the teacher. And the benefits transfer across the curriculum. Social competencies matter. International assessments show New Zealand students experience very high rates of bullying. In the 2015 Trends in International Mathematics and Science Study 44 countries reported significantly lower bullying rates than New Zealand at middle primary. 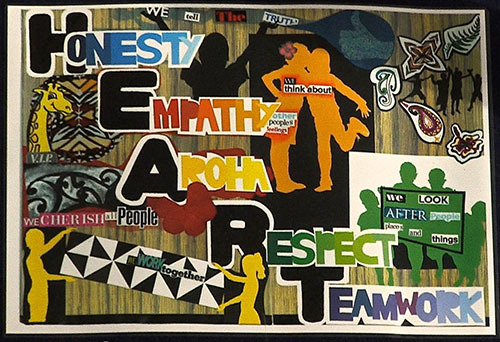 Across the three Porirua schools accessing DMIC in 2015 there was a decrease in bullying from 21% to 7% of students reporting being hit, kicked or hurt by other students at least once a week. Well-implemented, the DMIC approach to deliberatively teaching social competencies gives effect to school values, and teaches children how to relate to others, while lifting maths achievement.